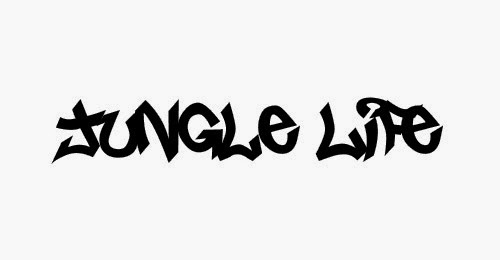 Ragga jungle is now a niche sound, with a small number of labels releasing music that can be categorised as the genre. Ragga jungle is the sum of four parts. Jungle breakbeats, rudeboy lyrics, reggae bass lines, and a sound clash mentality. In the 2000s, Canadian and American producers have been gaining popularity with their updated version of the sub-genre largely through online networks, sparking a small, yet international renaissance. Prominent producers of the new-school sound are continuing to build bridges, often re-voicing classic reggae singers to produce new works for exclusive use (as dubplates) and retail sale as 12" vinyl singles and downloadable mp3's. The renaissance has sparked the return of many old-school fans and producers worldwide, who faded from the scene or reinvented themselves when the raves thinned and the music shed its soundsystem roots. A dark age followed for ragga junglists when club DJs opted to support the more technical and less vocal-oriented drum and bass productions. Dubwise junglists have welcomed the return of the rub-a-dub sound, and ragga vocals have gradually regained favour, no doubt helped by the crossover of dancehall. Compilations and DJ mix albums have also helped introduce ragga jungle to new audiences.